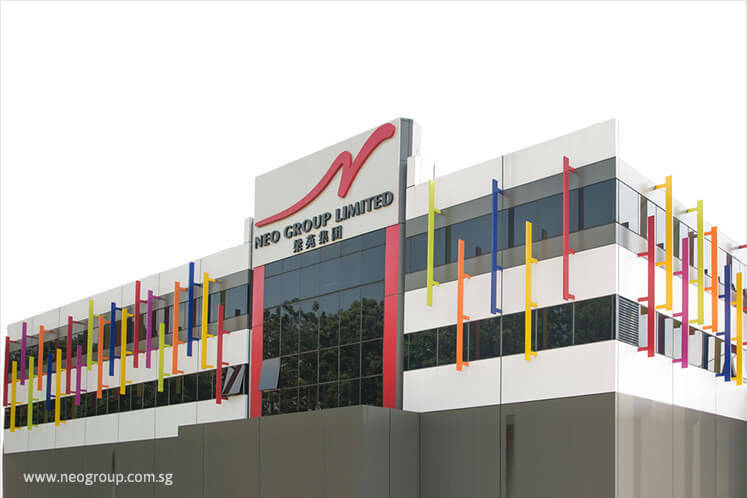 SINGAPORE (March 13): Neo Group has entered into exclusive dealing agreement in relation to the proposed acquisition of shares in Lavish Dine Catering. The parties to the agreement are Lavish, La Bonnie Pastries as well as vendors Lin Chih-Fen, Chew Kim Hong, Ling Boon Yew, Wong Yuk Yan, Neo Bee Hoe and Jerry Sim Chee Ling. Under the agreement, the vendors, Lavish and La Bonnie agreed to provide Neo Group with an exclusive right to negotiate the proposed acquisition of Lavish during the period from Monday to June 30 2017. Lavish was incorporated in Singapore in 1998 and specialises in the provision of high-end catering services by award-winning chefs. La Bonnie is a patisserie incorporated in Singapore in 2015 which sells, among others, bespoke edible favours, cakes, dessert tables and dessert platters. The vendors have also undertaken to complete a restructuring exercise such that Lavish will hold 80% of the issued and paid-up capital of La Bonnie prior to the end of the exclusive period. None of the directors or controlling shareholders of the Neo Group has any interest, direct or indirect in the proposed acquisition. Neo Group closed at 62 Singapore cents on Monday before the announcement.